Had this drop on a Brownie out in Dragonscale Hills too. Think it was on Leafrot. 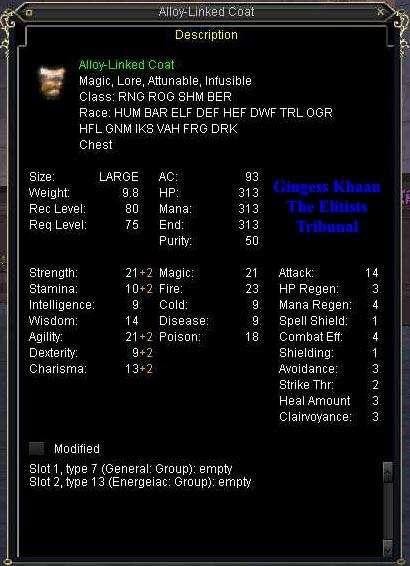 This will NOT drop in DSH from any mob. This is a tier 2 SoF drop. So does this have 2 or 4 aug slots? It has two. This is an Infusible item (our display is off, but will hopefully be adjusted soon). What exactly dose it mean if an item is Infusable? It means it can use one of the power sources introduced in TBS.